"Something's going on and it's not just in my head, I can prove it!" EuropaCorp has released the first trailer for a new thriller titled Shut In, from director Farren Blackburn. The film stars Naomi Watts as a child psychologist who moves to a big house in the middle of rural New England with her new foster care child, played by Jacob Tremblay (of last year's film Room), along with her other brain dead son. While at first she seems threatened by him, it turns out they're both being haunted by a "bad guy trying to kill them". Oh boy, watch out. This trailer reveals quite a bit of twists, including that it might be a supernatural thriller of sorts. Also starring Charlie Heaton, Oliver Platt, David Cubitt and Crystal Balint. Take a look below. A heart-pounding thriller about a widowed child psychologist (Naomi Watts) who lives in an isolated existence in rural New England. Caught in a deadly winter storm, she must find a way to rescue a young boy before he disappears forever. Shut In is directed by British filmmaker Farren Blackburn, of the film Hammer of the Gods previously and lots of TV work including "Daredevil", "Luther" and "Doctor Who". The screenplay is written by Christina Hodson. Watts says of working with Tremblay (via USA Today): "He definitely finds himself in trouble here again, (but) he's proven he can handle these roles." 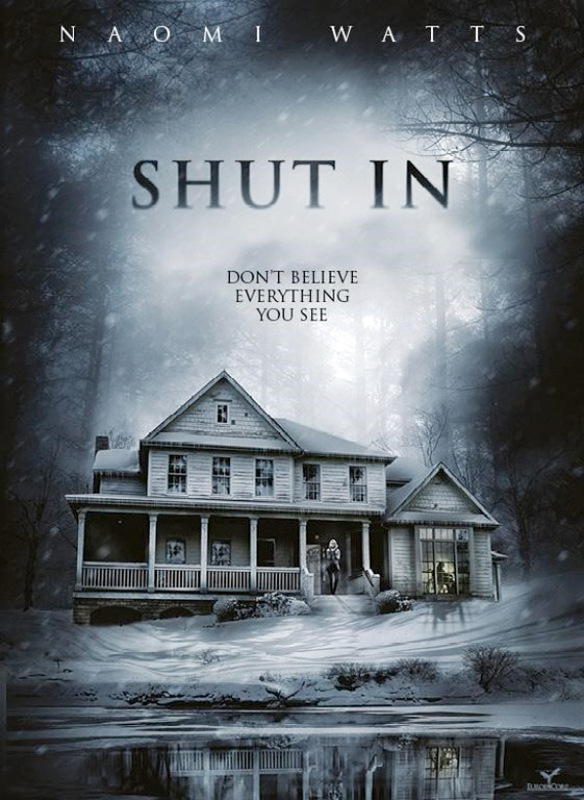 EuropaCorp USA will release Shut In in theaters starting on November 11th later this fall. Anyone interested in seeing this? Poor Naomi Watts. After King Kong, she's not been getting roles deserving of her talent. This trailer was confusing as hell to me, and it sparks no interest. Eastern Promises is so good. No worries! I stand corrected. Eastern Promises, The Impossible and Birdman were all solid. I guess I figured some of those occurred prior to King Kong for some reason. Time flies! Tthis is how to make a very low budget horror movie, with a Cubo'f snow and two strings. -Rent a house in the middle of a nowhere place that costs you 100$/month. -Cast one B-actor and a kid ( you can pay him with candies) -Make strange noises while the light flickers.